Located in the beautiful Paradise Coast of Immokalee, Florida. An upscale retreat with plenty of amenities for your comfort and convenience, the hotel offers 19 suites and 81 deluxe rooms. Relax by the pool with complimentary lounge chairs and towels. Stay fit in our cutting-edge Fitness Studio. Let our professional catering staff assist you in planning your next meeting or event in our new Seminole Center event space. Whether your stay is business or pleasure our hotel will fit your every need. Providing an insider’s guide to the best that our vacation destinations have to offer, the Allegiant’s Sunseeker Guide provides Allegiant passengers tips for how best to enjoy their visit. The Punta Gorda Airport (PDG) is located close to I-75 on the southwest coast of Florida between Sarasota and Ft. Myers. At PGD, Allegiant provides low-cost, non-stop air service to approximately 40 destinations in the United States. Operated by the Charlotte County Airport Authority, PGD is an important transportation and economic asset for the surrounding region, providing hundreds of jobs directly and more than $350 million annually in overall economic output. From America's favorite small cities to world-class destinations, Allegiant makes leisure travel affordable and convenient. Allegiant provides a complete travel experience with great value and without all the hassle. 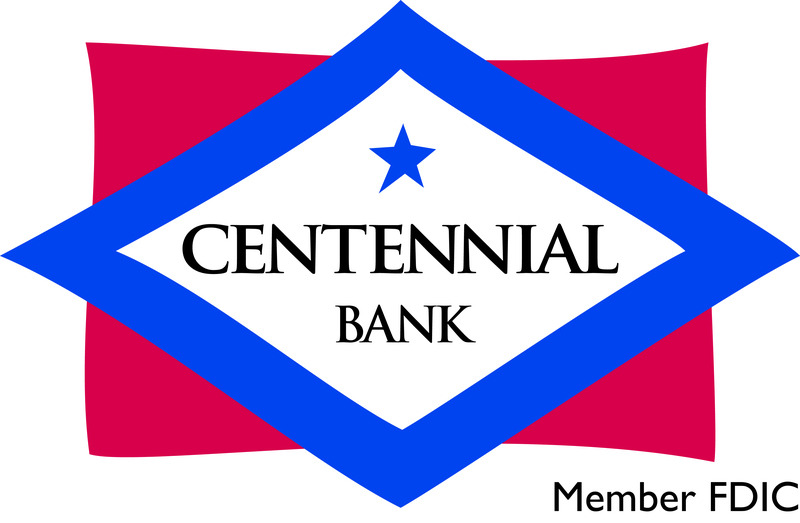 Centennial Bank is a customer focused bank. We pride ourselves on excellent customer service, convenience to our account holders and taking care of the communities in which we operate. Sunseeker Resorts presents Florida’s largest master-planned hotel-condo resort along the Gulf Coast. We boast a resort hotel, nine condo towers, restaurants, bars, shops, marinas, fitness center, medical facility, grocery store with pharmacy and much more. 5 Rivet Airstream dealer. Full line luxury travel trailers and motorhomes including Atlas, Interstate, Grand Tour, Tommy Bahama, Sport, Basecamp, Flying Cloud, Globetrotter, Classic and International. $100,000,000 in inventory. 750 RVs, 100+ service bays, Huge Parts Megastore & more! Ajax builds the roads that thousands of commuters rely on every day. We pave the runways that welcome airline passengers safely home. We design and construct the test tracks that allow vehicle manufacturers and race teams to develop their most advanced machines. As an industry leader in concrete and asphalt manufacturing, Ajax Paving Industries has a long history of delivering high-quality, proven results along with professional service and competitive pricing. 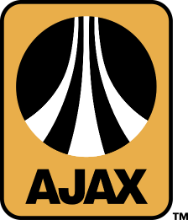 Whatever the application, whatever the specifications, Ajax knows how to pave the way. WBeasley Media Group was founded in 1961 when George G. Beasley, at the time a high school principal, was awarded an FCC license to build his first radio station, WPYB-AM, a daytime-only 500-watt signal, in Benson, North Carolina. Mr. Beasley was part of a small group of broadcasting pioneers who were introducing radio to smaller cities and towns throughout the country, a technology previously unavailable outside larger cities. Like many first-time FCC licensees, Mr. Beasley turned his budding interest in radio into a full-time calling. He soon sold his first station at a profit, reinvesting the proceeds into the purchase of WFMC-AM in nearby Goldsboro, North Carolina, which brought both a more powerful signal and the attraction of a larger market. During the 1960s and early 1970s, the geographic reach broadened. Stations were purchased in Virginia, Kentucky, Georgia, South Carolina, Alabama, Indiana and Ohio. A highlight was the 1976 purchase of WDMT-FM in Cleveland, which marked Beasley Broadcast Group’s first operation of a true large market station. Through the late 1970s and into the 1980s, Beasley Media Group continued its disciplined expansion throughout the eastern United States, while adding a station in Little Rock, Arkansas, the company’s first purchase west of the Mississippi River. When you advertise with Lamar Airports, you're also strategically placing your message in front of our 160+ million travelers each year. To put airport advertising to work for your brand and influence the purchasing decisions of higher-income business travelers, contact Lamar today to get started. Bayfront Health is a regional healthcare network composed of seven hospitals with more than 1,900 medical professionals on staff. We are integrated to give our patients access to quality clinical knowledge, dedicated to providing advanced treatments and technology, and routinely recognized nationally for our quality of care. At Charlotte County Ford, we have devoted ourselves to helping and serving our customers to the best of our ability. We believe the cars we offer are the highest quality and ideal for your life needs. Please do not hesitate to contact us with any questions you may have. Our staff is happy to answer any and all inquiries in a timely fashion. We look forward to doing business with you! Wright Construction Group delivers construction management, general contracting and design/build services to educational, governmental, commercial, industrial and large-scale multi-family clients. The company provides high-quality services and maintains a corporate philosophy of honesty and integrity focusing on total client satisfaction. FACET LLC is a flexible manufacturing company providing laboratory and pharmaceutical services. FACET LLC provides manufacturing and packaging services for first responders and the DoD for hands-on medical training. Our goal is to manufacture quality products without minimums. Building since 1891, O-A-K offers commercial construction services to clients throughout Southwest Florida and West Michigan. As an employee-owned construction company since the day we were founded, we are driven by the communities where we work and live. We can’t say it enough. Our people are our greatest asset. Contact us for your Construction Management, General Contracting or Design Build project. Air Trek, Inc. is one of the nation’s oldest Aircraft Charter and Air Ambulance companies having been family owned and operated since 1978. We specialize in hassle free travel for out VIP’s (clients); getting them where they need to go on their time schedule! Our foundation consists of a family business whose formula for success has remained the same for 40 years: Focus on being safety-centered while providing in the ultimate in customer service. Ongrade Contracting is committed to customer satisfaction. Specializing in heavy construction, and site development with the latest in state of the art technology we are able to combine speed with excellent quality control and craftsmanship. We are proud to offer the following services to our customers. Earthwork, Laser and GPS Grading, Clearing & Grubbing, Soil Stabilization, Road Base Construction, Trimming. Beautiful Boundaries Lawn Care & Landscape Design has been providing excellent lawn care and landscaping services in Punta Gorda and Port Charlotte since 2004. We are one of the premiere professional landscaping and lawn care providers in the Punta Gorda, Port Charlotte area. We are your one stop location for all areas such as construction, sprinkler irrigation, lighting, stone layout and commercial landscape management.